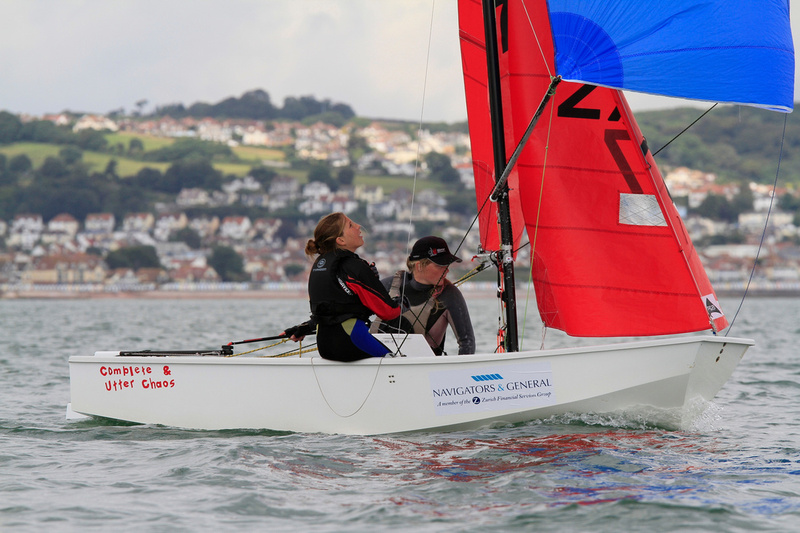 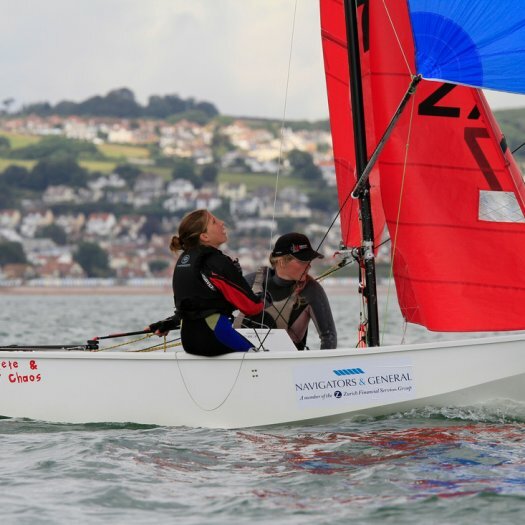 Another light and shifty wind greeted the sailors at the start of Day 4 of the Navigators & General National Championships. 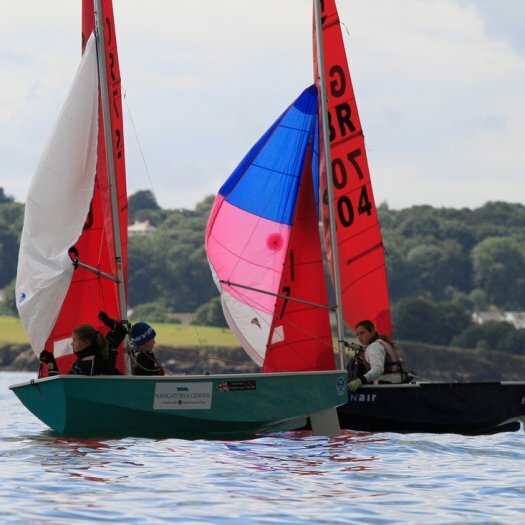 Race 1 got away at the third attempt under a black flag, only to be abandoned moments later because the windward mark was detatched from it's anchor. 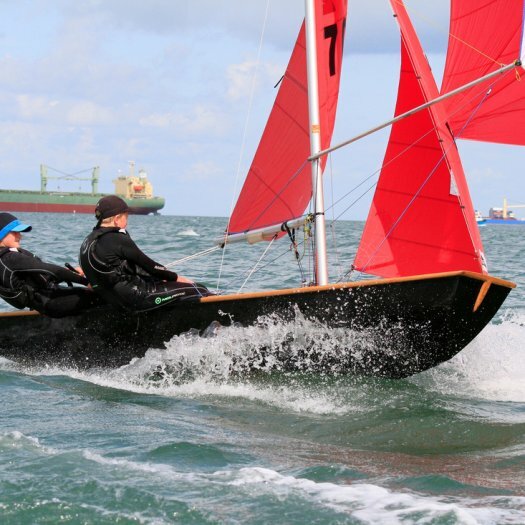 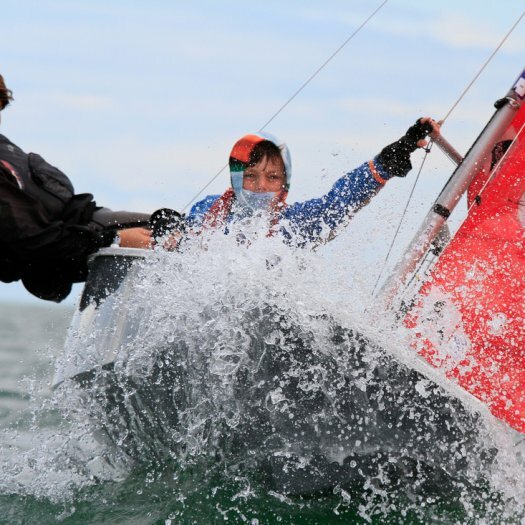 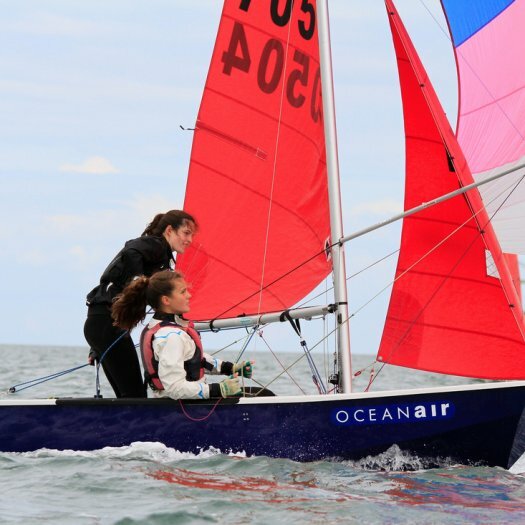 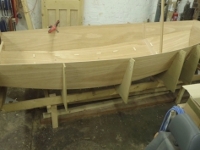 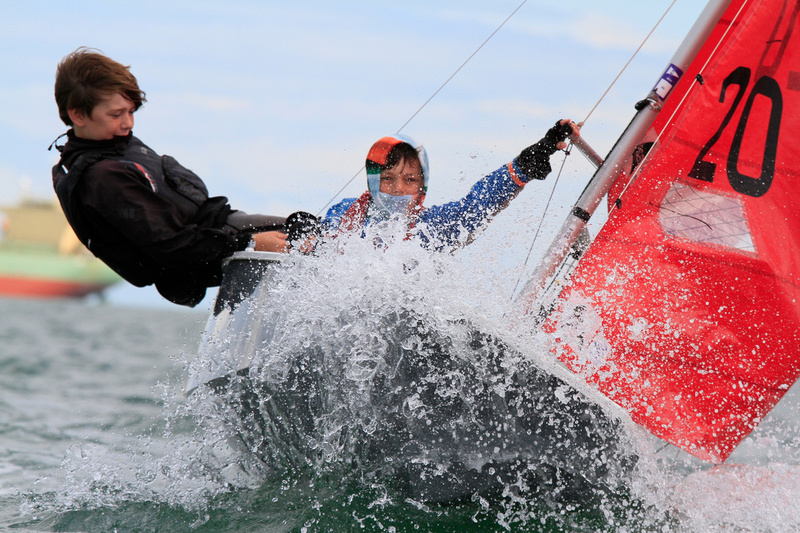 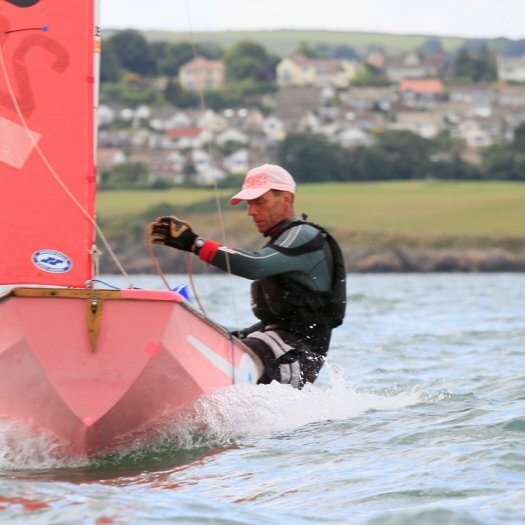 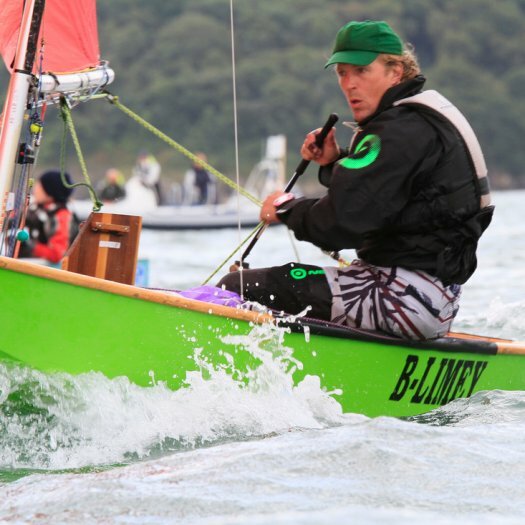 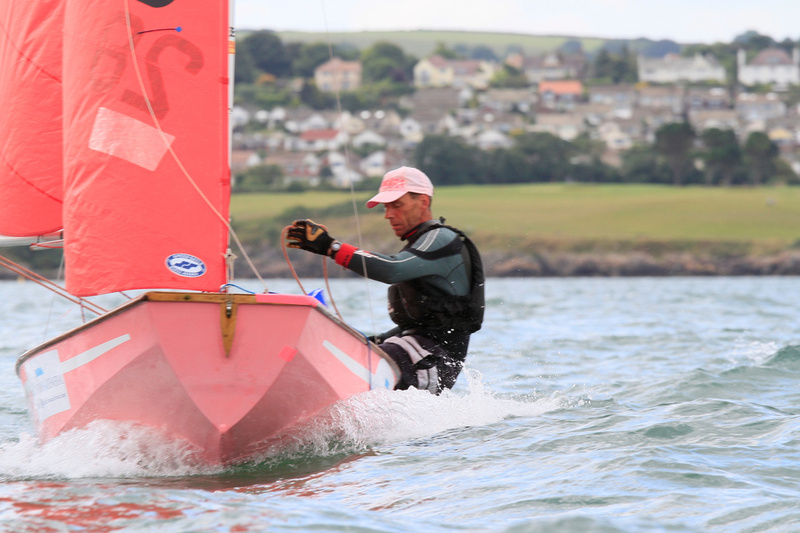 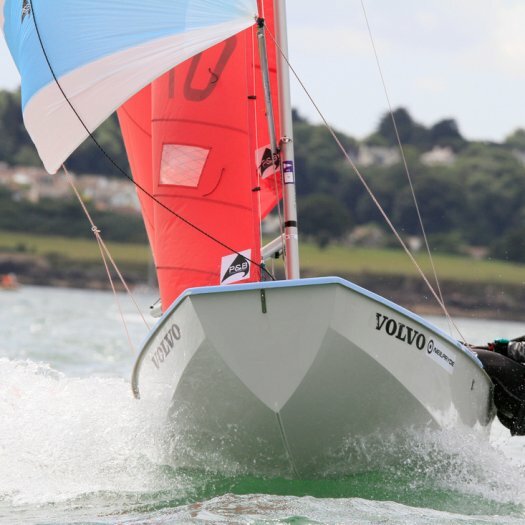 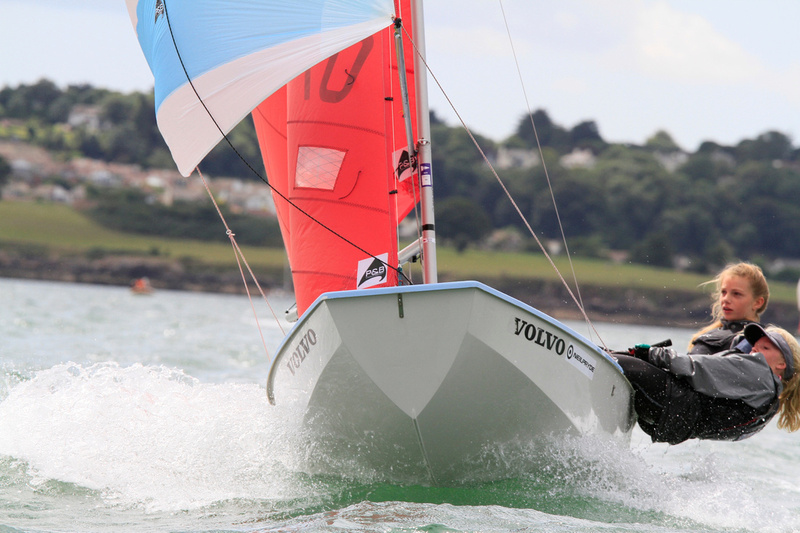 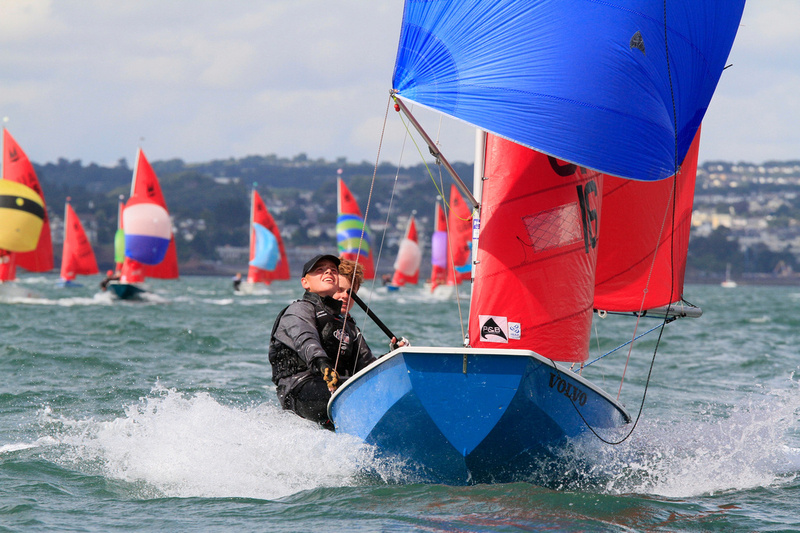 A light North North West wind greeted the sailors, giving them a long slow beat out to the course area, and it proved to be even more fickle than the breeze on day 2. 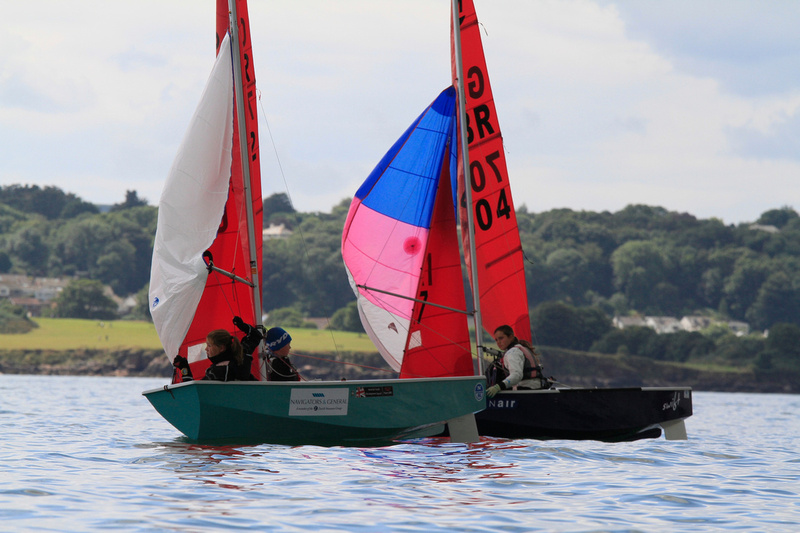 Race 1 got away at the forth attempt under a black flag. 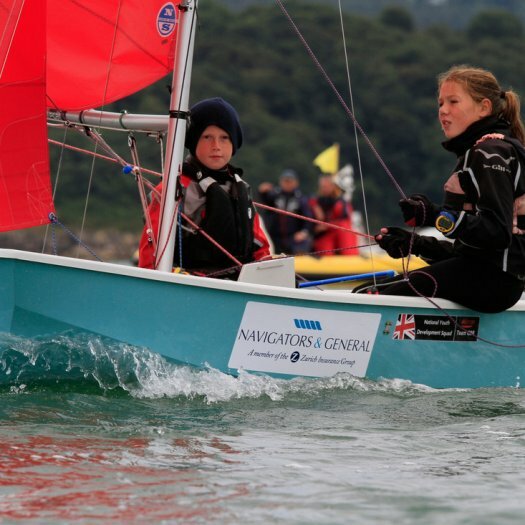 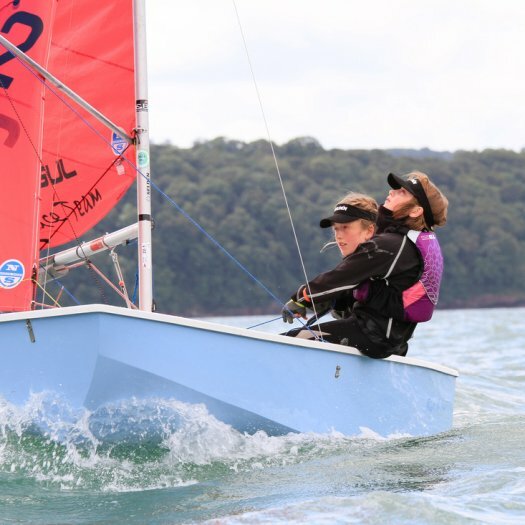 Three races were achieved today in Day 2 of the Navigators and General Mirror National Championships despite heavy rain showers and massive shifts in the wind. 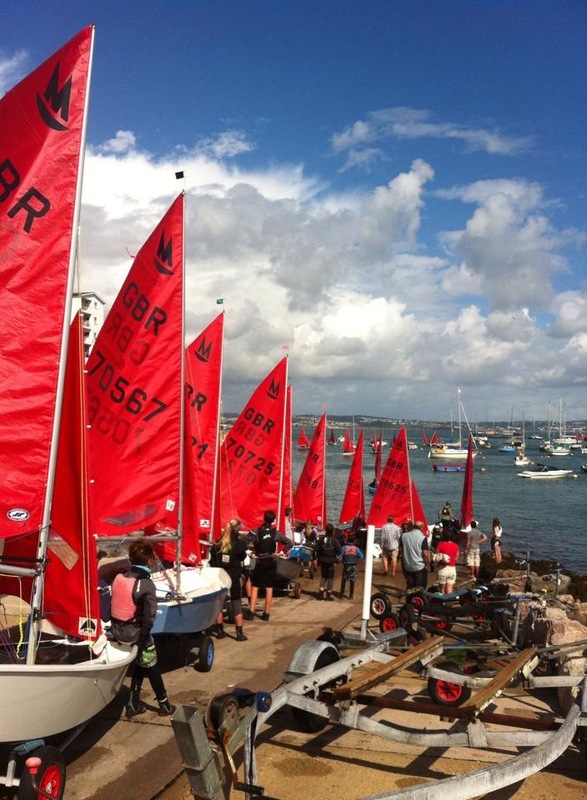 General Recalls, Black Flags and big shifts seconds before the start became the order of the day and presented significant challenges to Principal Race Officer Sean Semmens and his team from Brixham YC. 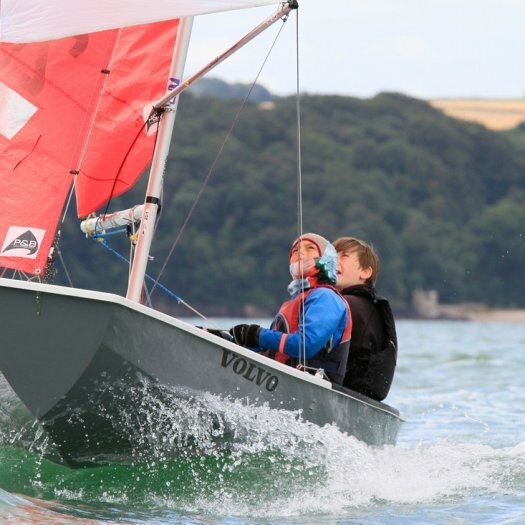 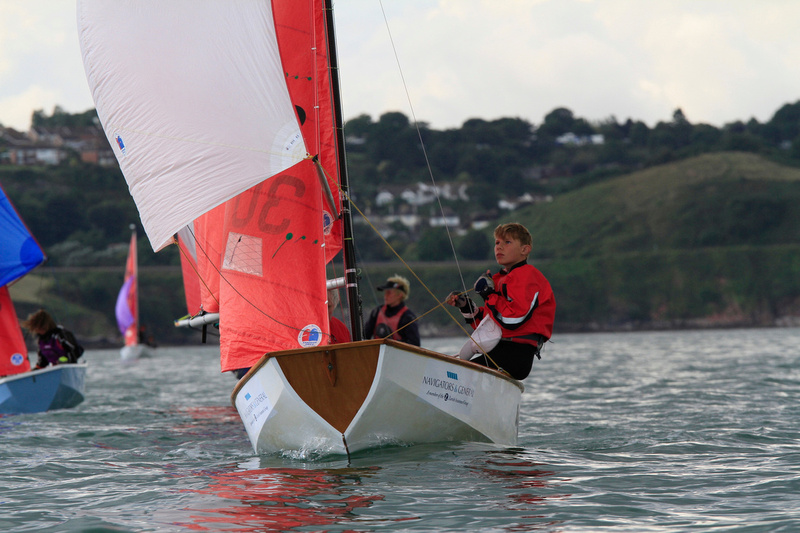 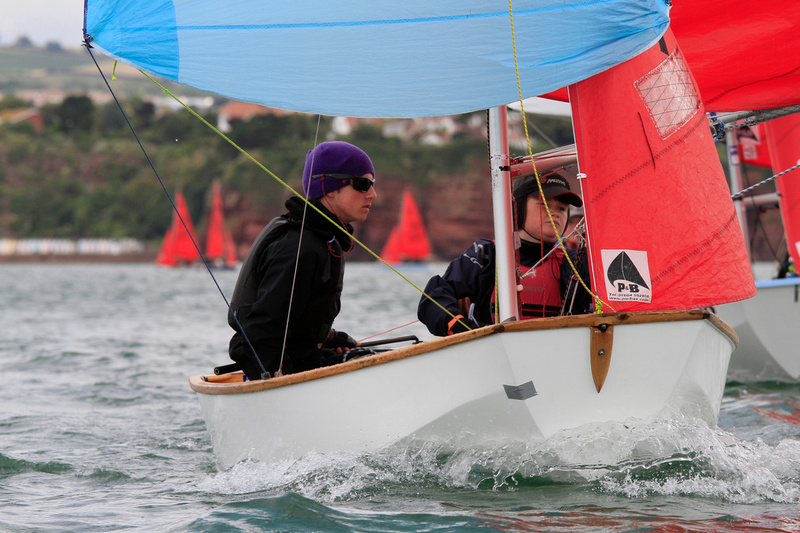 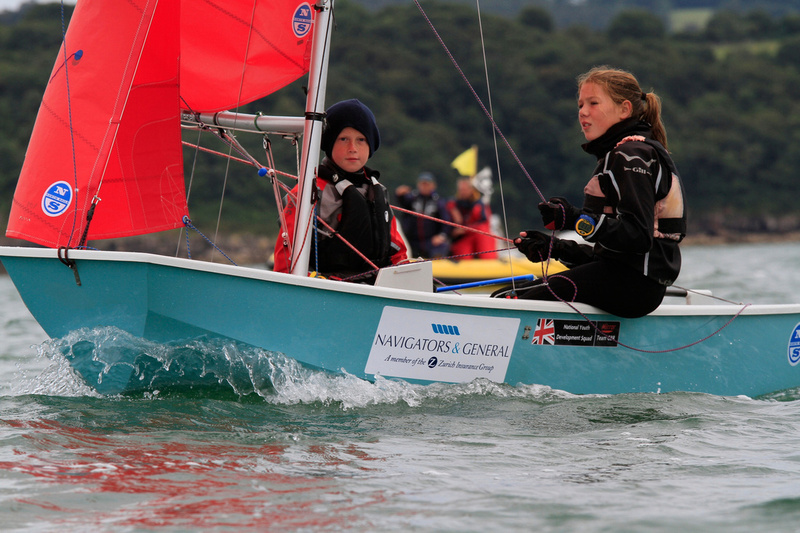 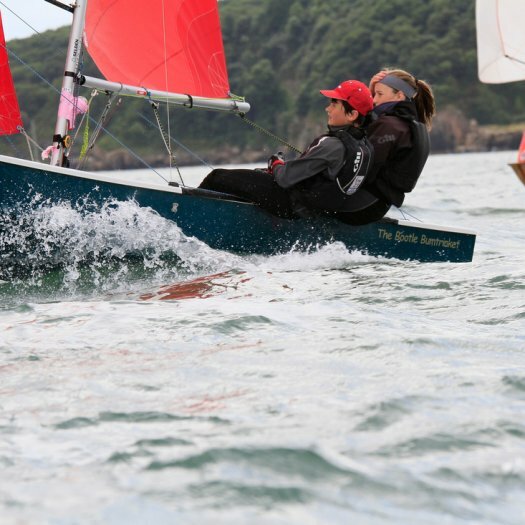 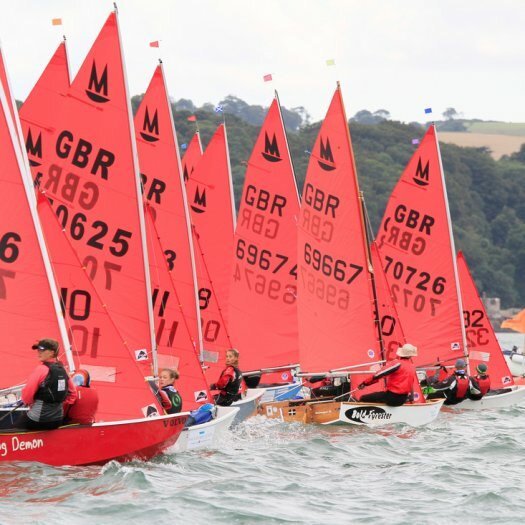 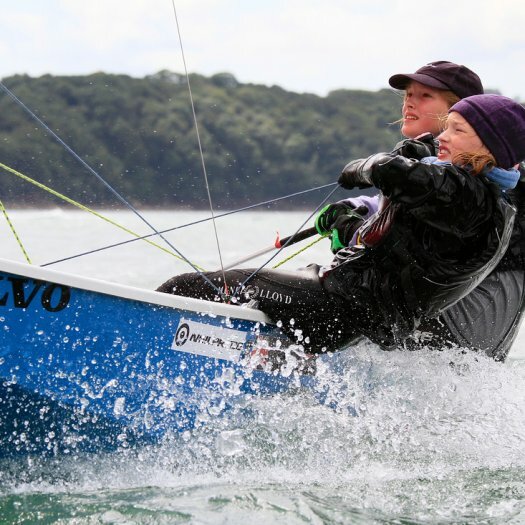 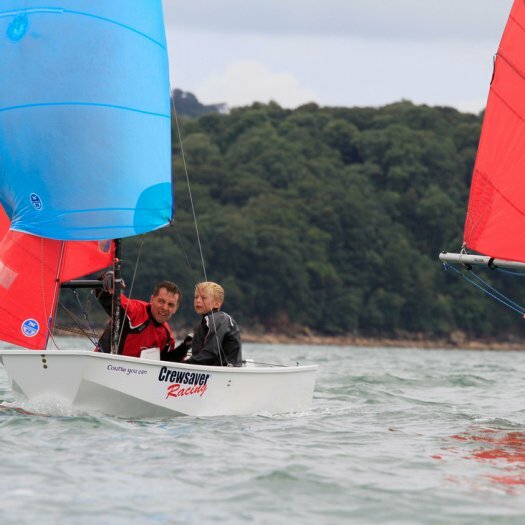 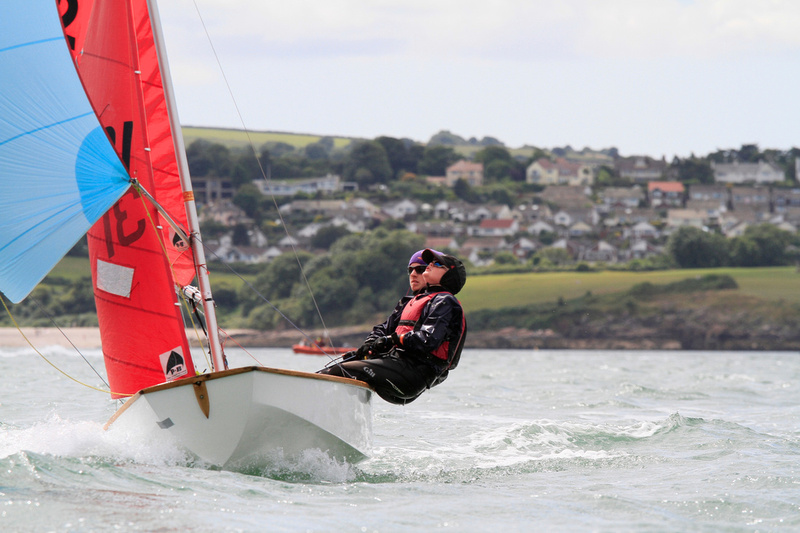 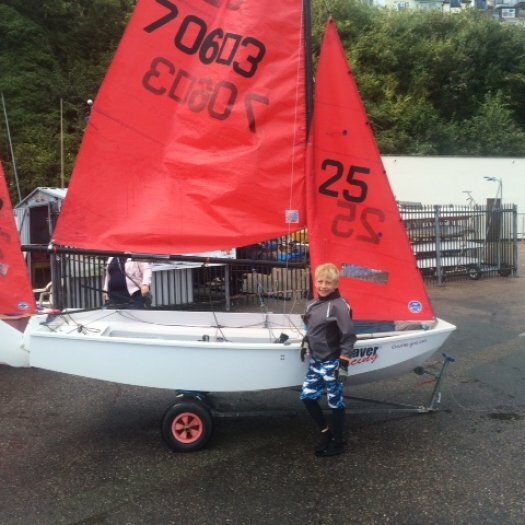 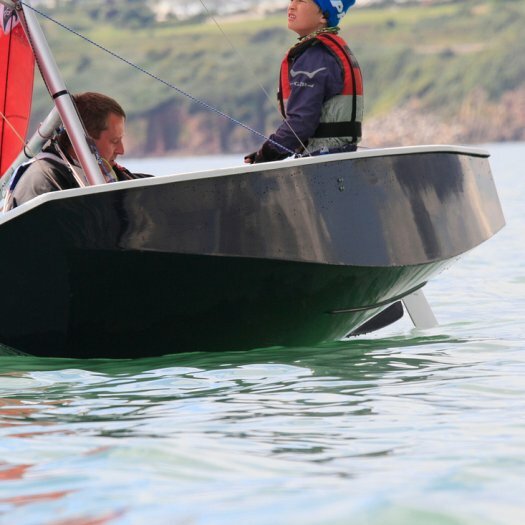 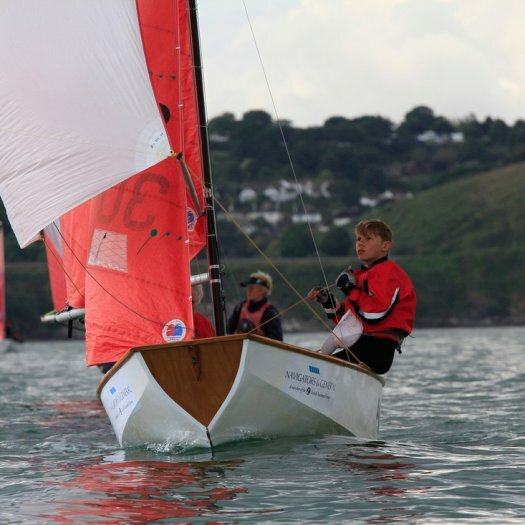 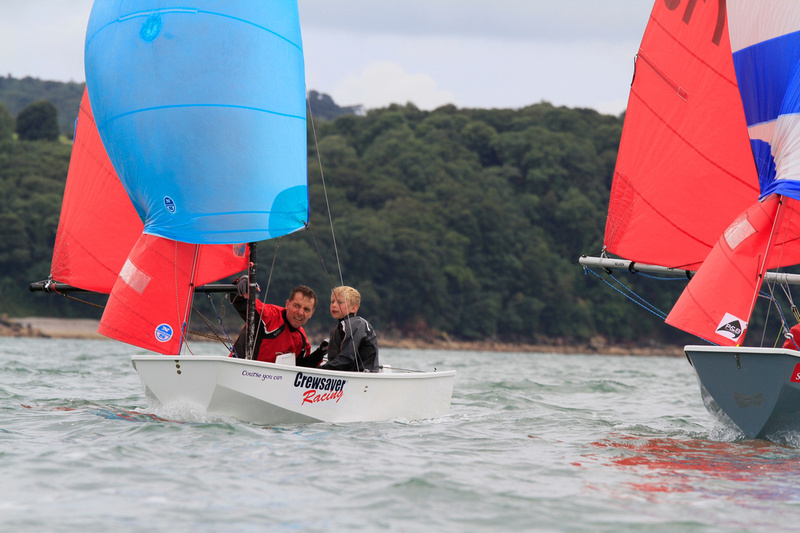 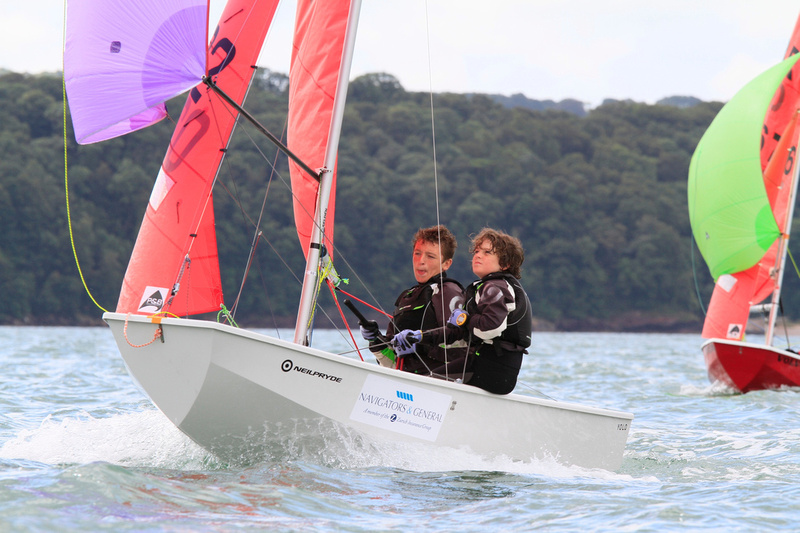 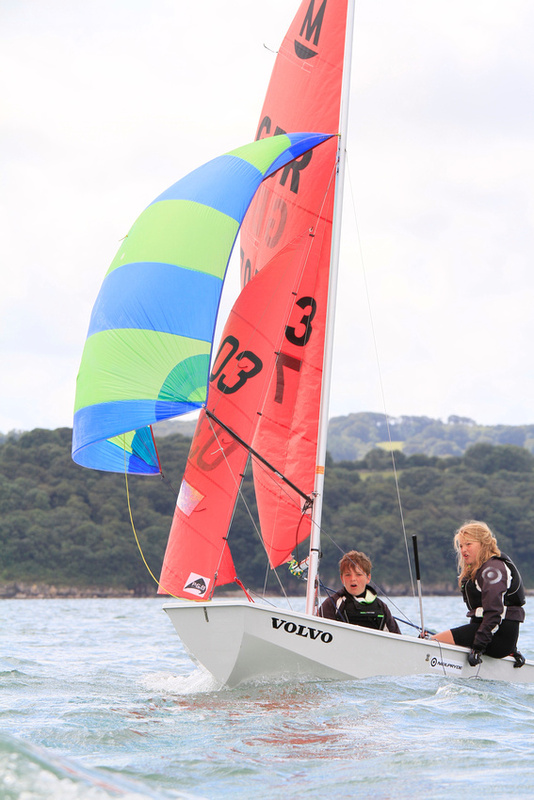 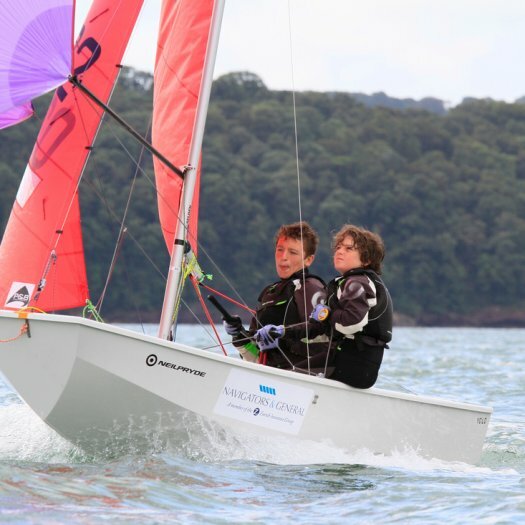 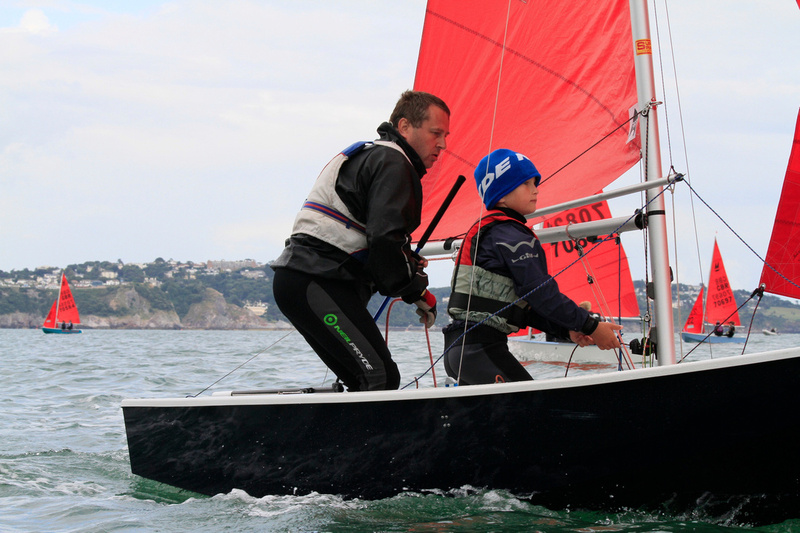 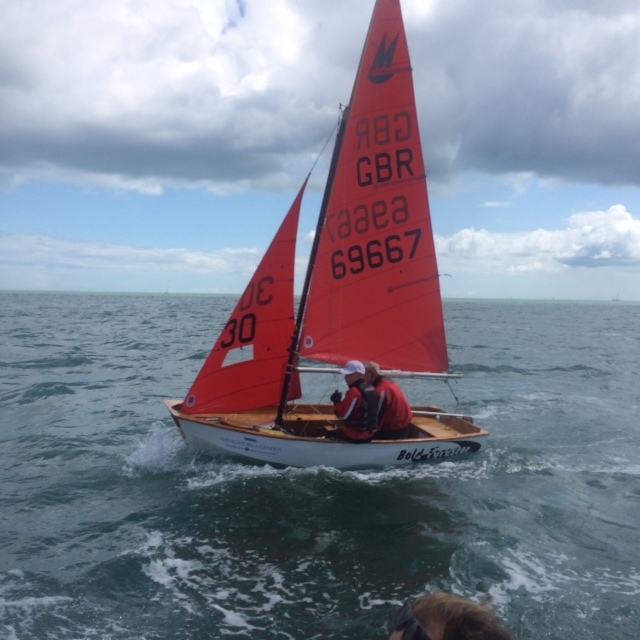 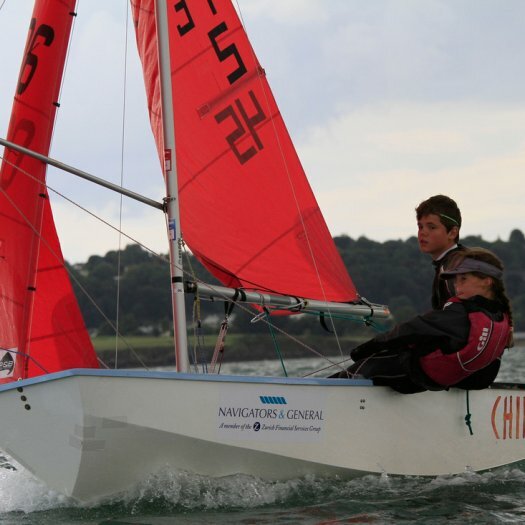 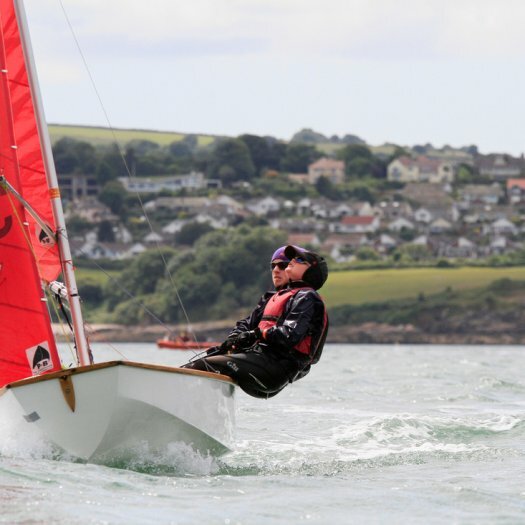 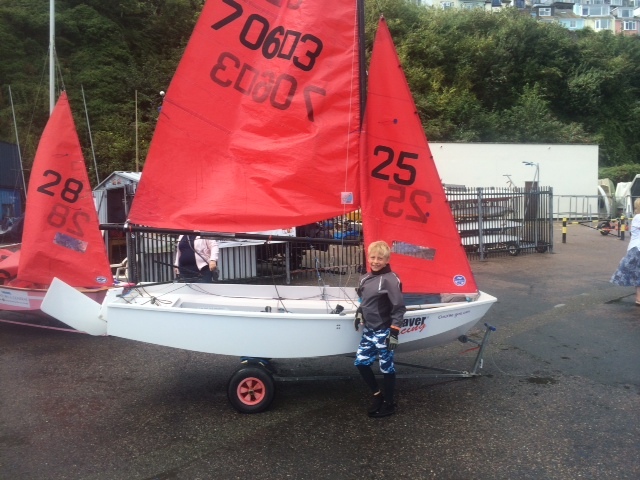 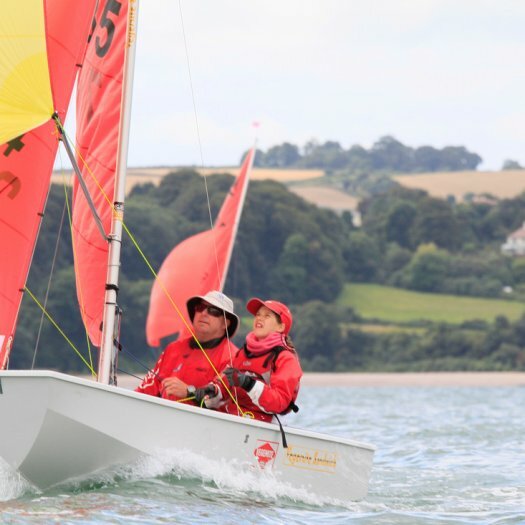 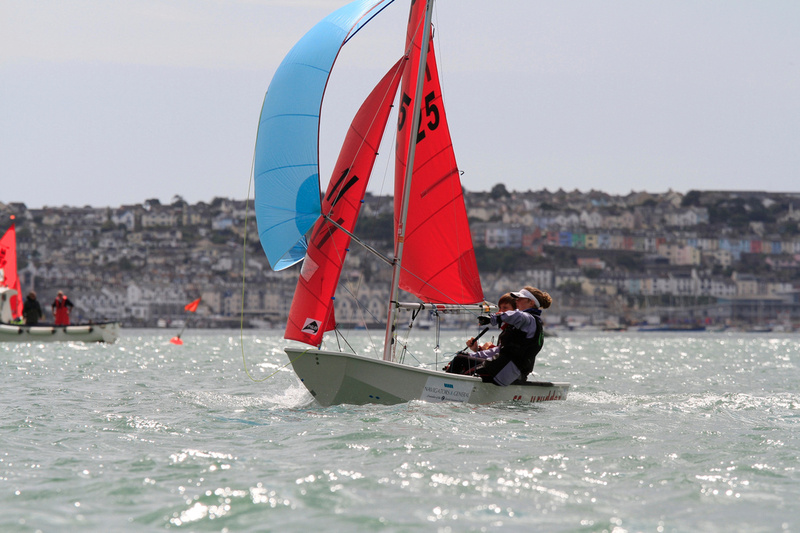 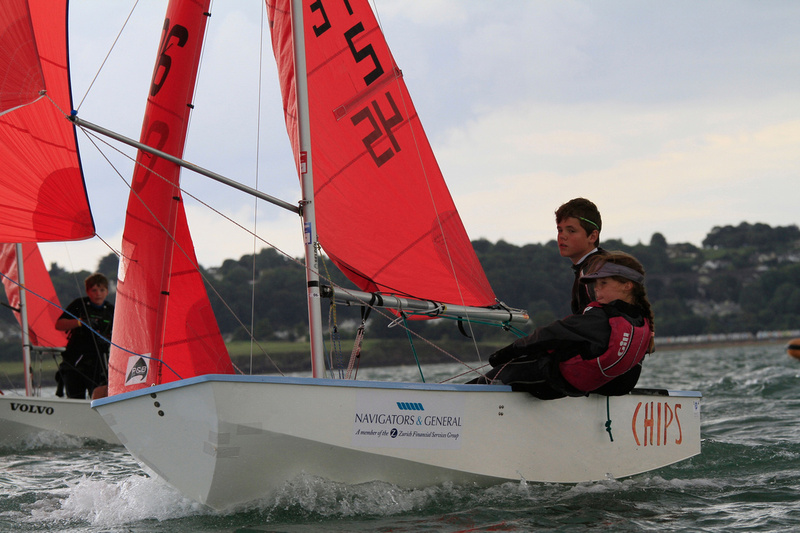 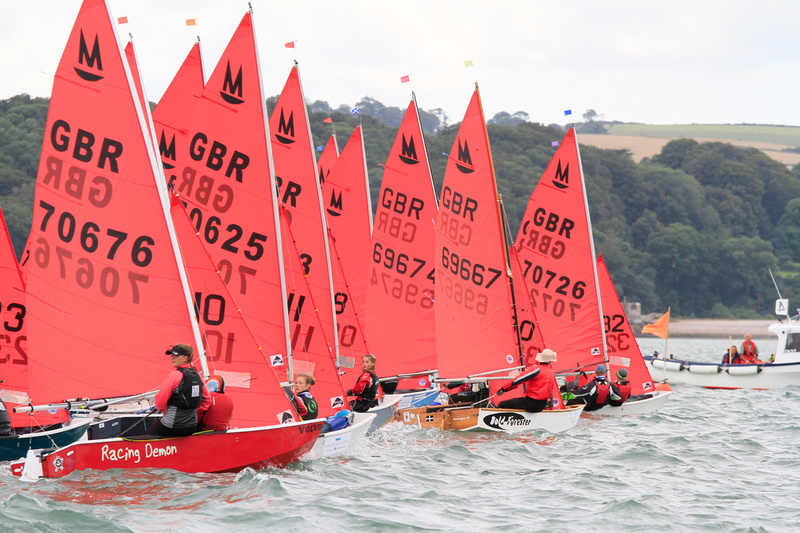 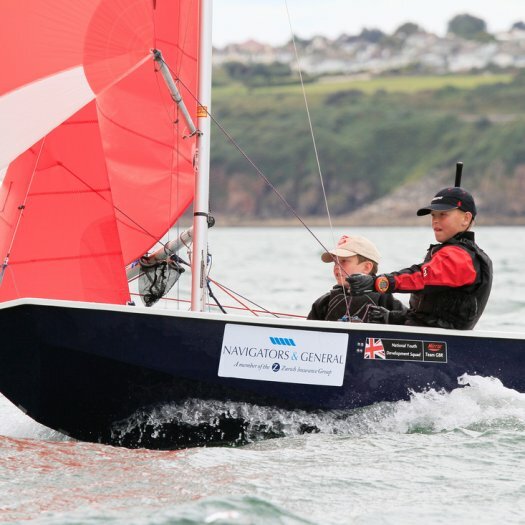 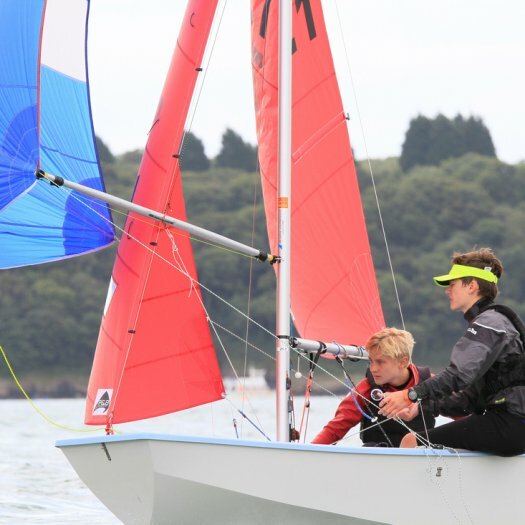 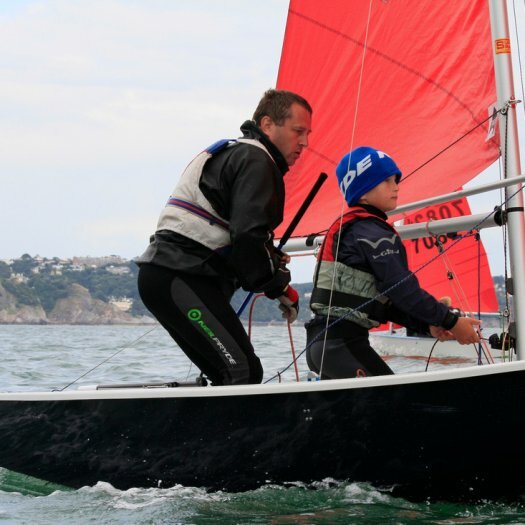 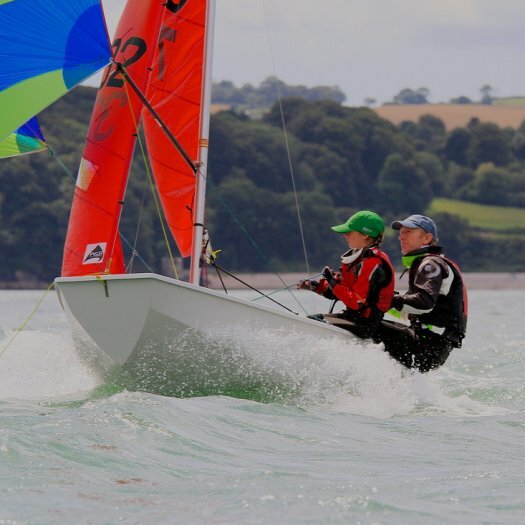 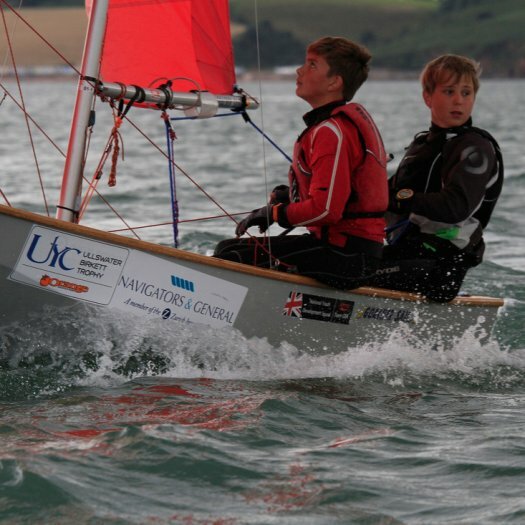 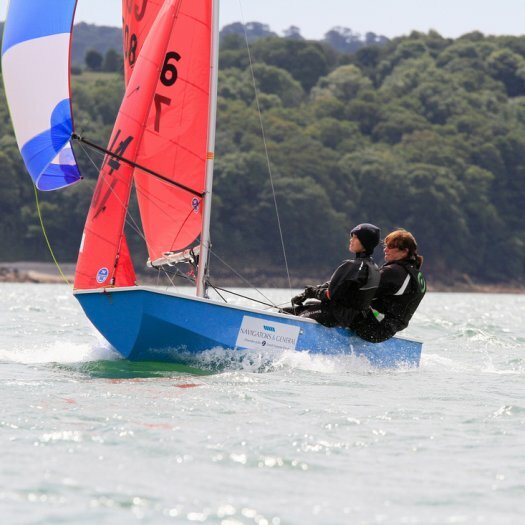 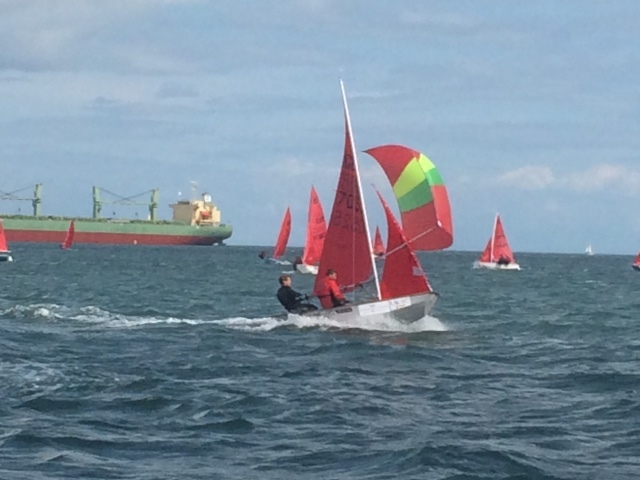 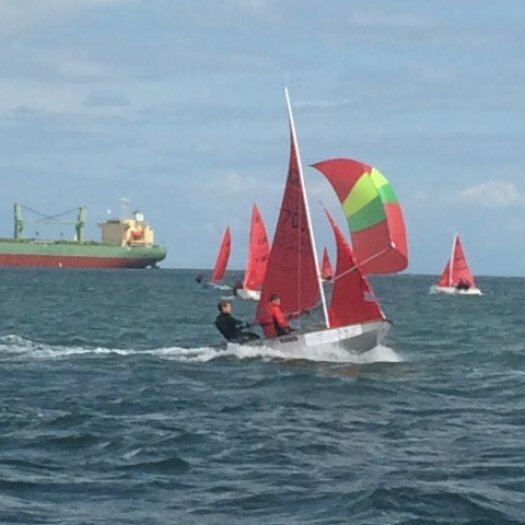 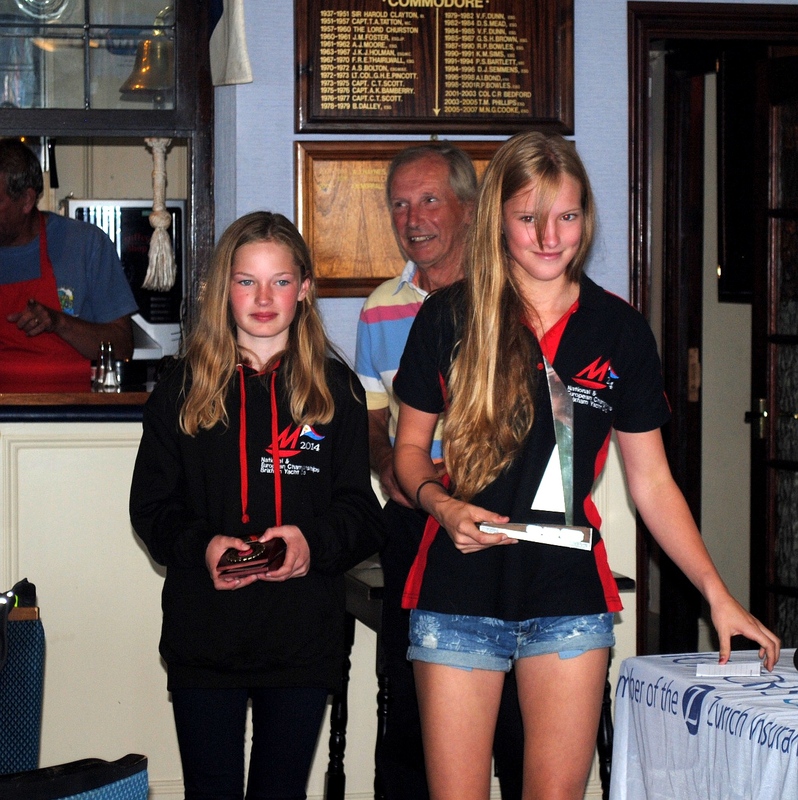 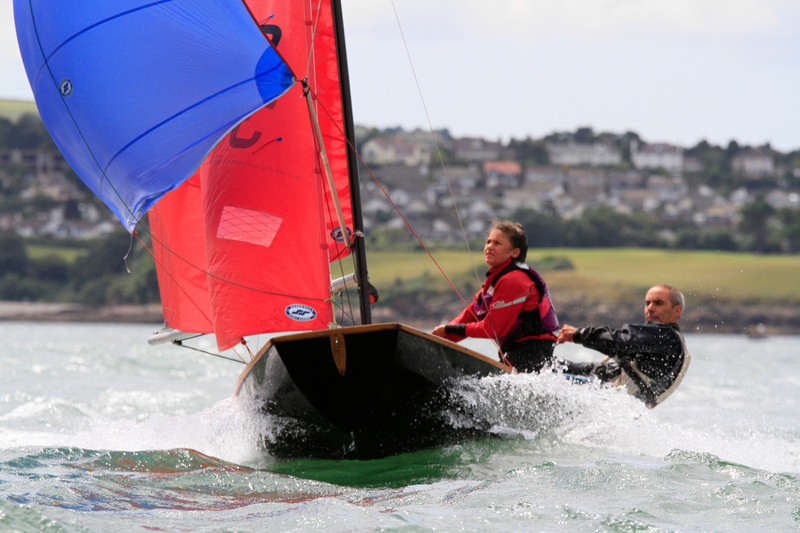 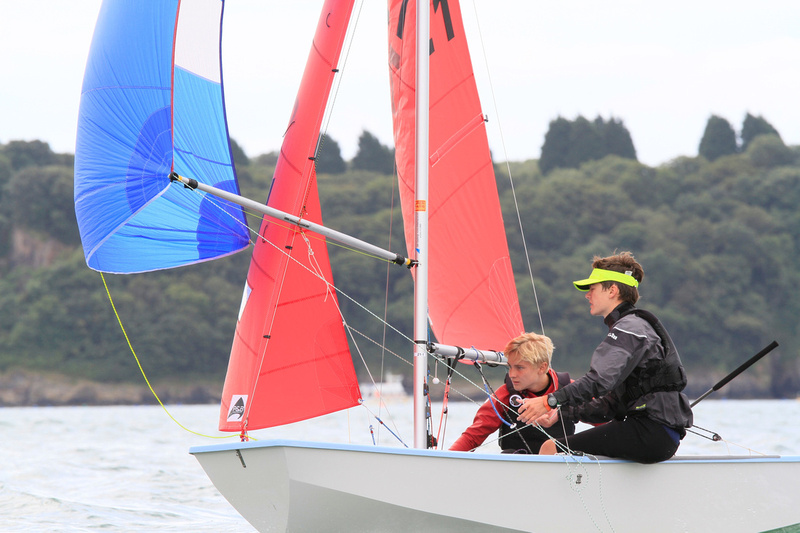 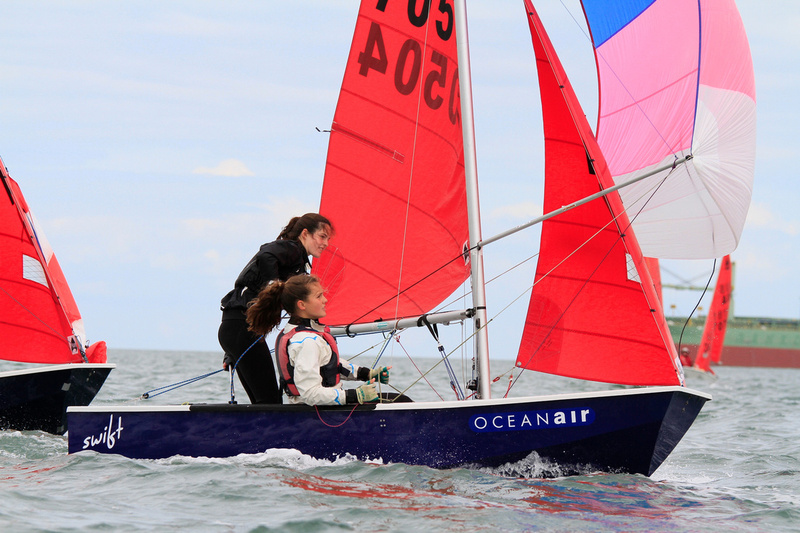 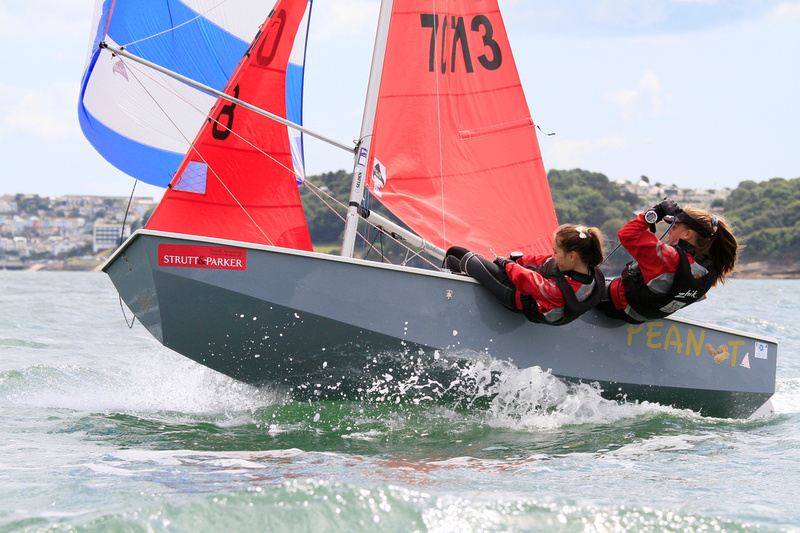 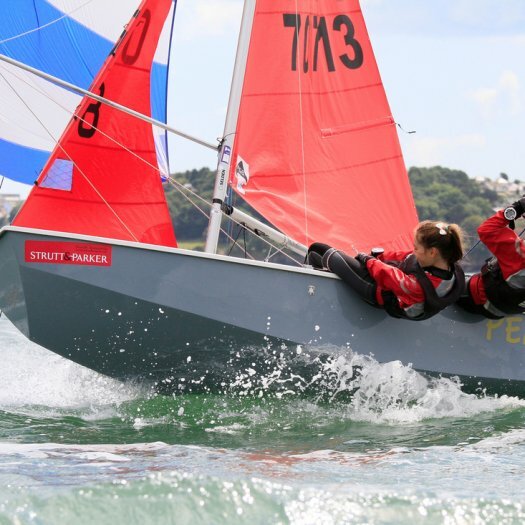 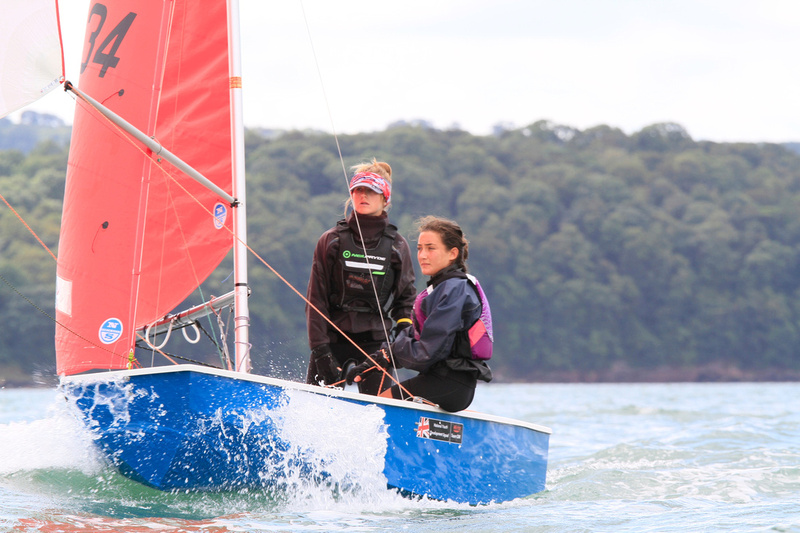 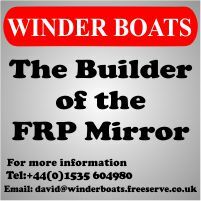 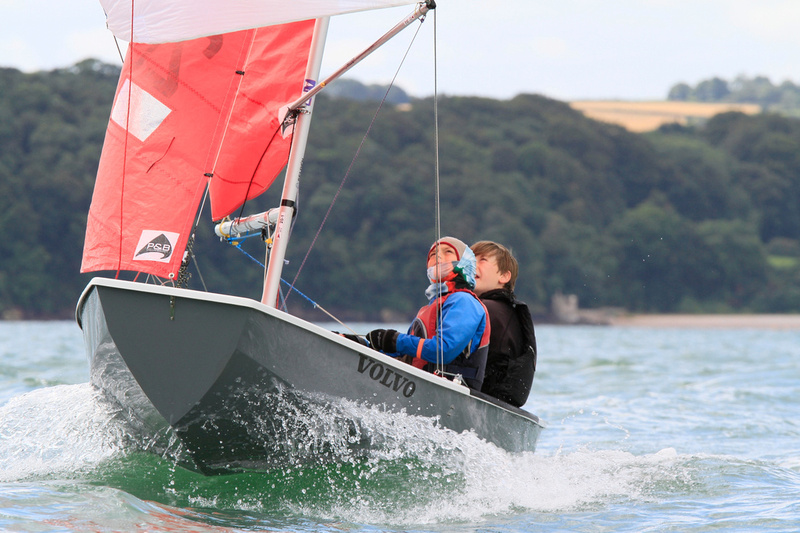 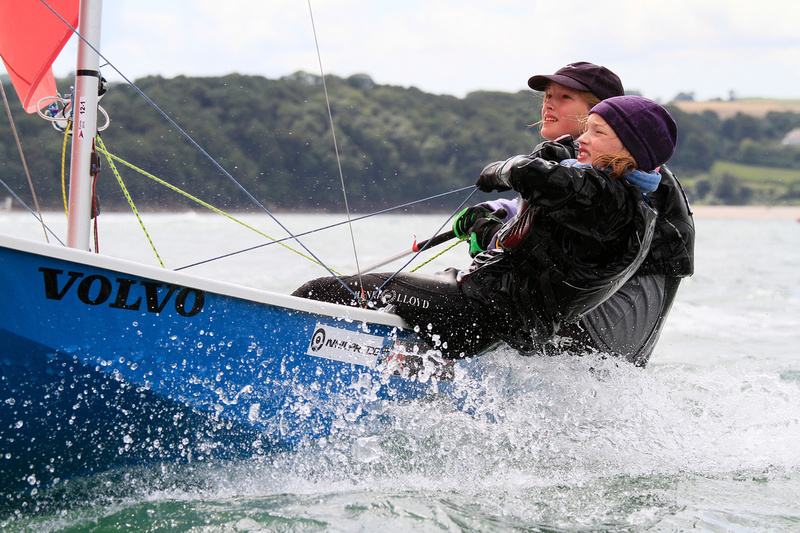 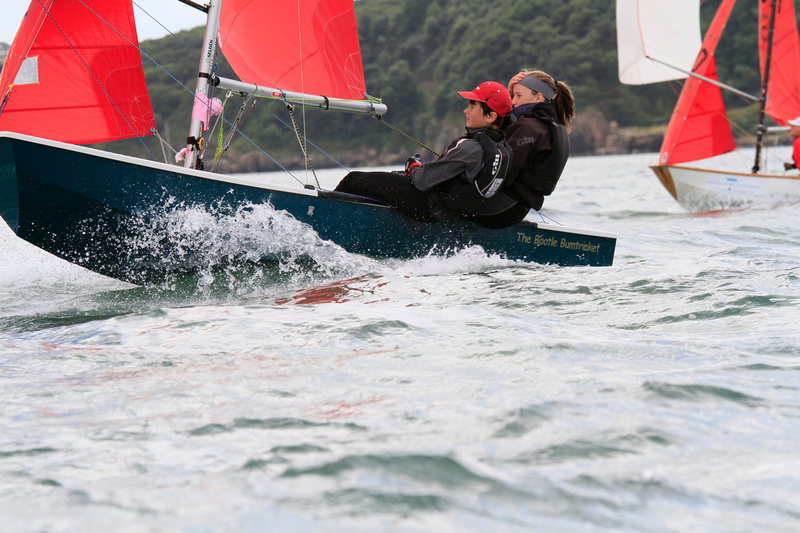 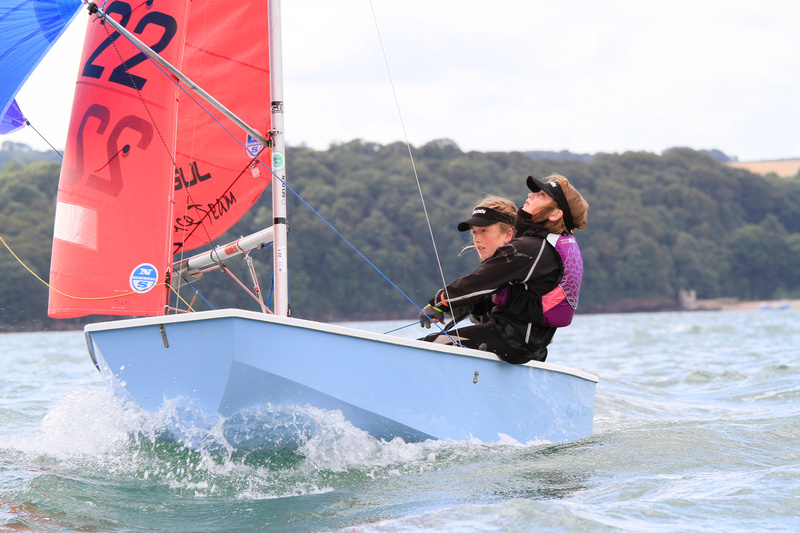 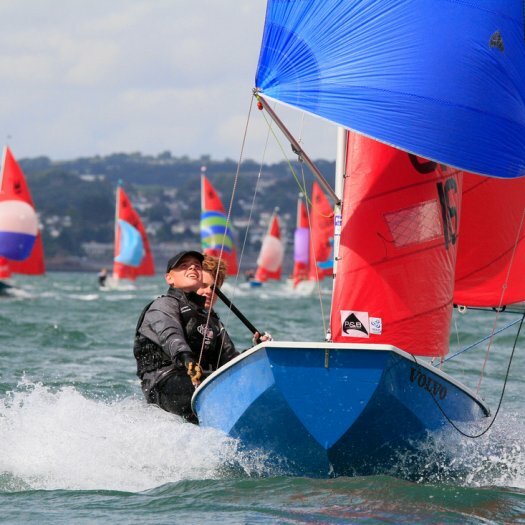 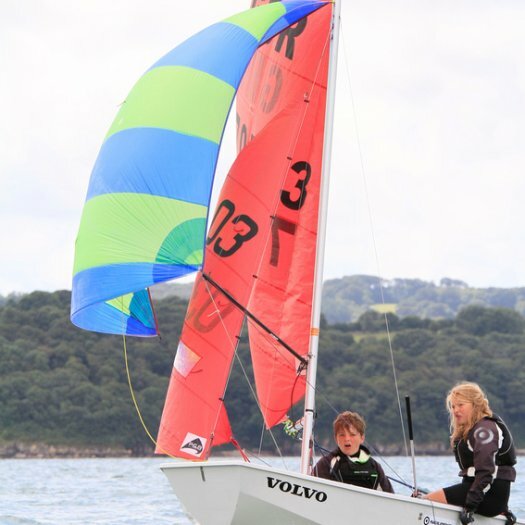 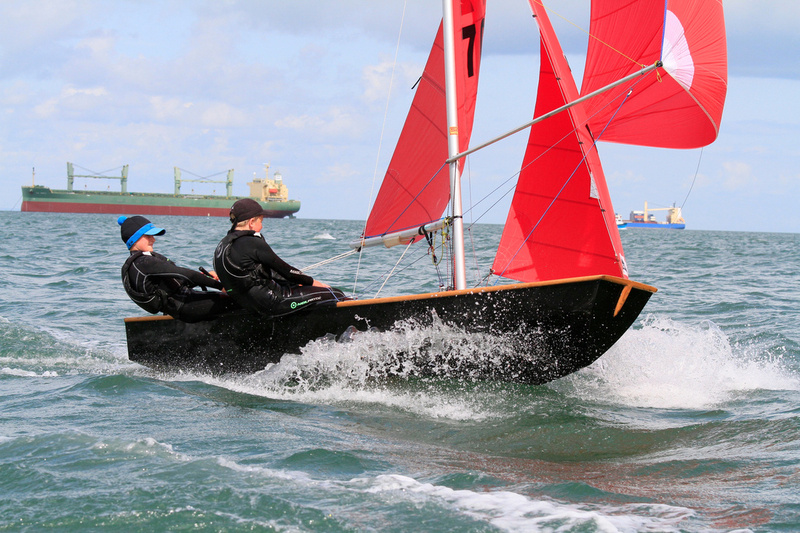 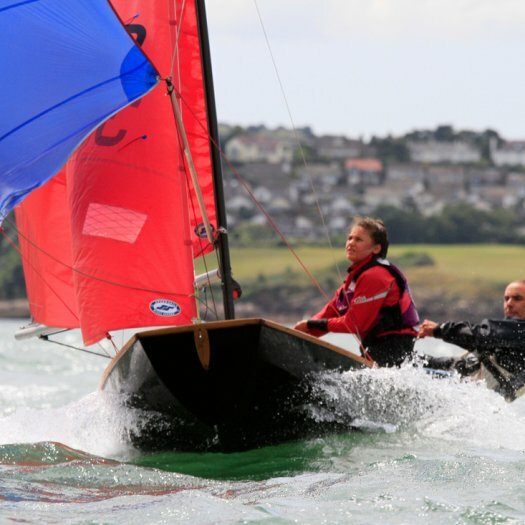 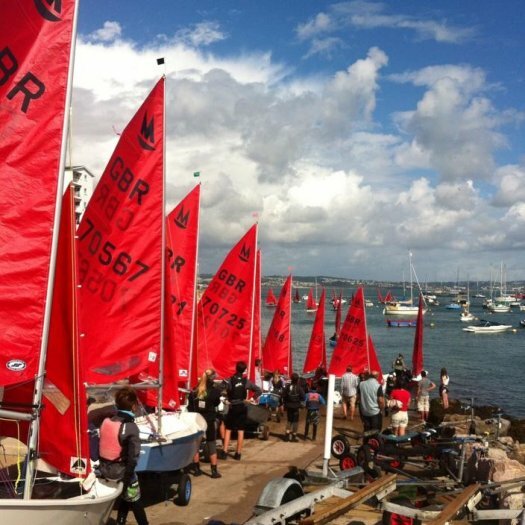 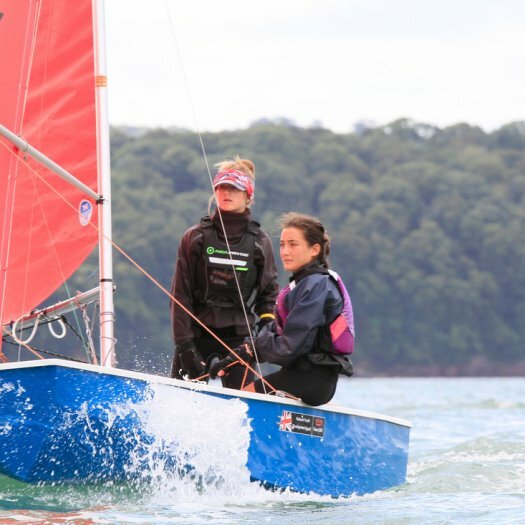 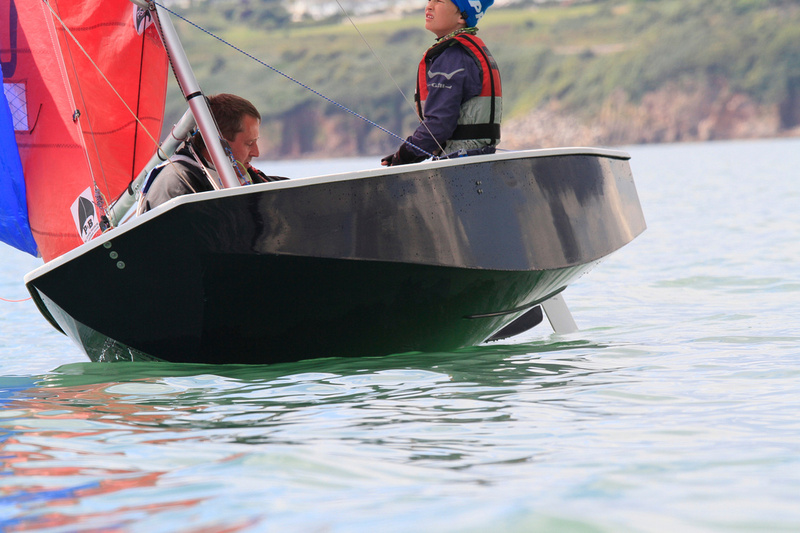 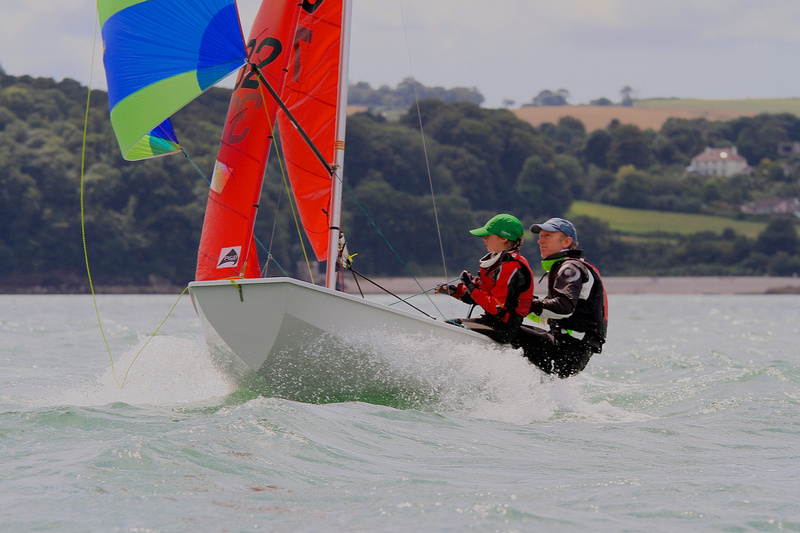 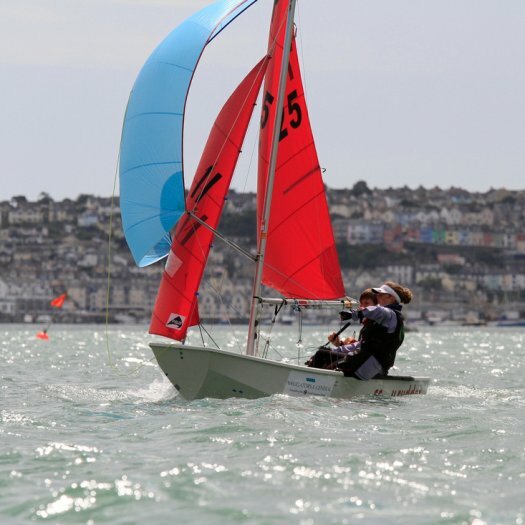 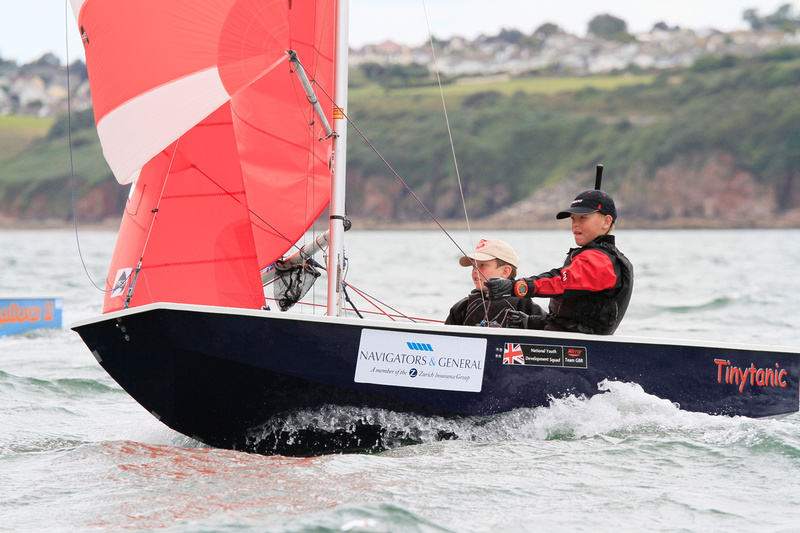 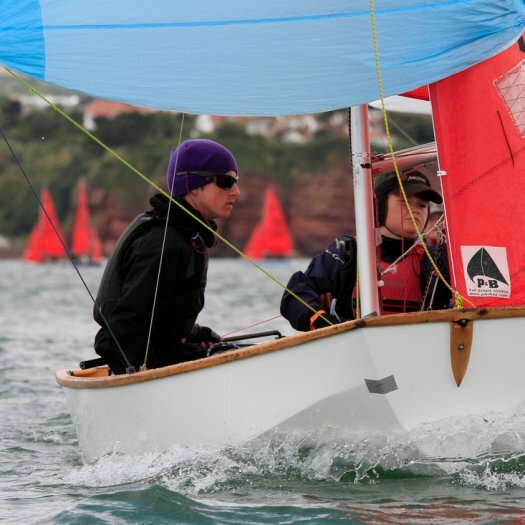 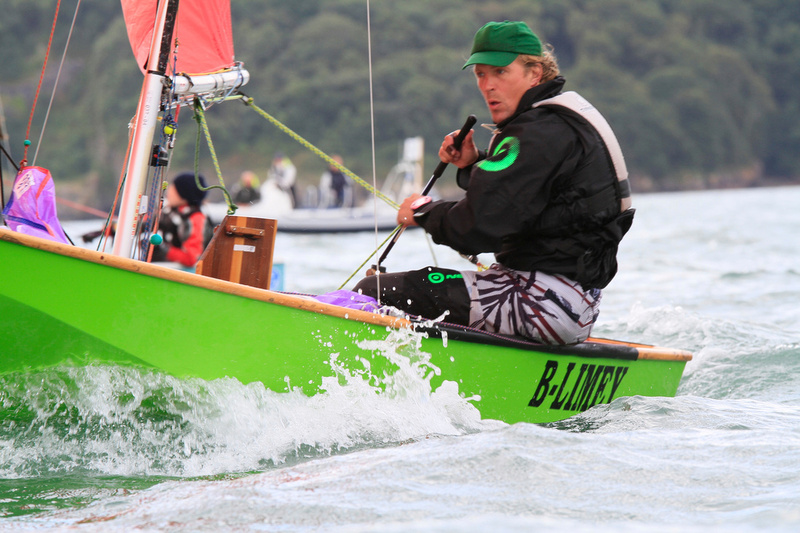 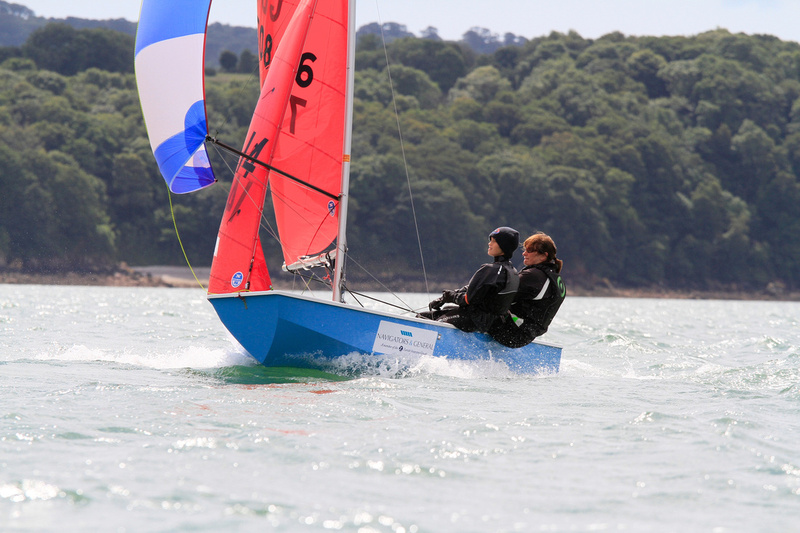 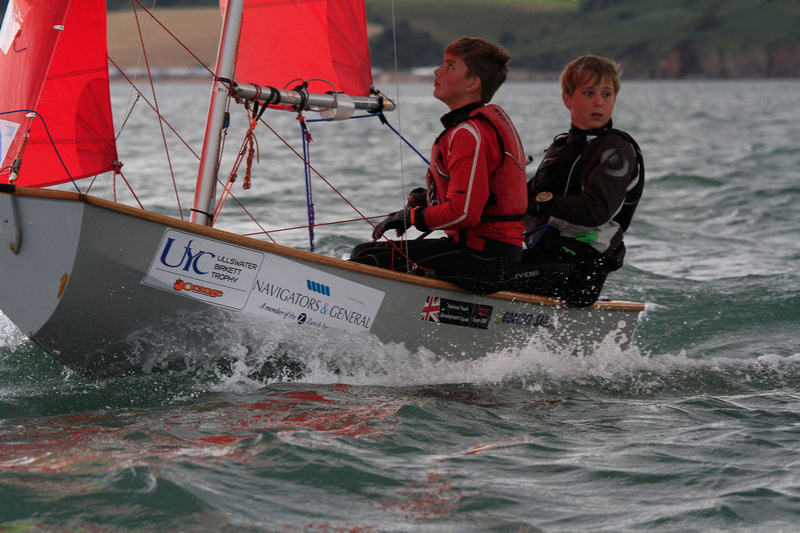 Big gusts and large shifts gave challenging conditions at Day 1 of the Mirror Nationals at Brixham. 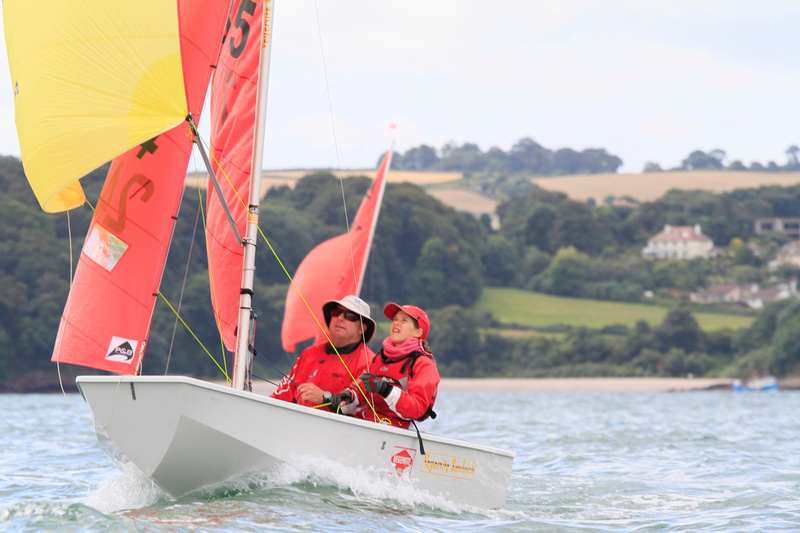 Playing the percentage game and not banging corners was the key to success and the the experience of Sarah Richards and David Coady showed with a race win each.